Anticipated work for weekend of Sept 1 & 2, 2018. Note that we are not open on Labor Day (at least for train rides). Won't Fred want to cut some ties? Yes, and Joe will probably want to sort rail. We are doing very well with the rail. I estimate 2-3 days ahead of schedule. Special thanks to everyone who has helped make it happen. We are up to 68 rails ready for use. I think the best thing would be to have a crew help Fred cut ties if theres anyone looking for a project. Also need to get 3 more coats of Copper Naphthenate (CuCnH2n-zO4) on the outrigger supports. 2 More coats! Put one on today. When did you sneak that in today? Just before I went home. Wow. It was hotter than h--- today. Not a fun job even when the weather's decent. Saw (and definitely smelled) the coat Bob C. put on the turntable Saturday. * Bridge: preservative was liberally applied to the two "wing" timbers, and to other timbers associated with the bridge. The pieces arrived this week which will allow the bridge to be moved, currently scheduled for Saturday morning next week. 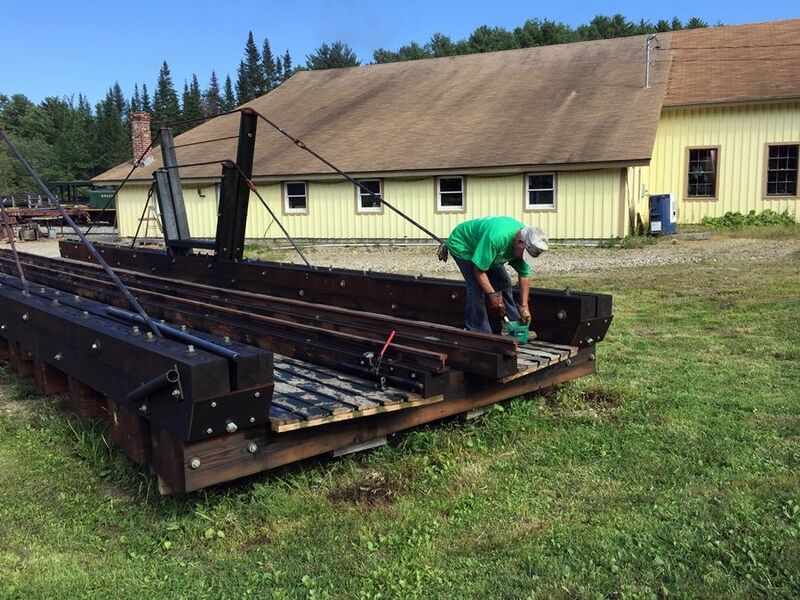 * Mountain Extension: Fred and crew got hardwood off the roadbed north of the trestle. Brendan and Dan were welding up something for the work weekend in the shop. 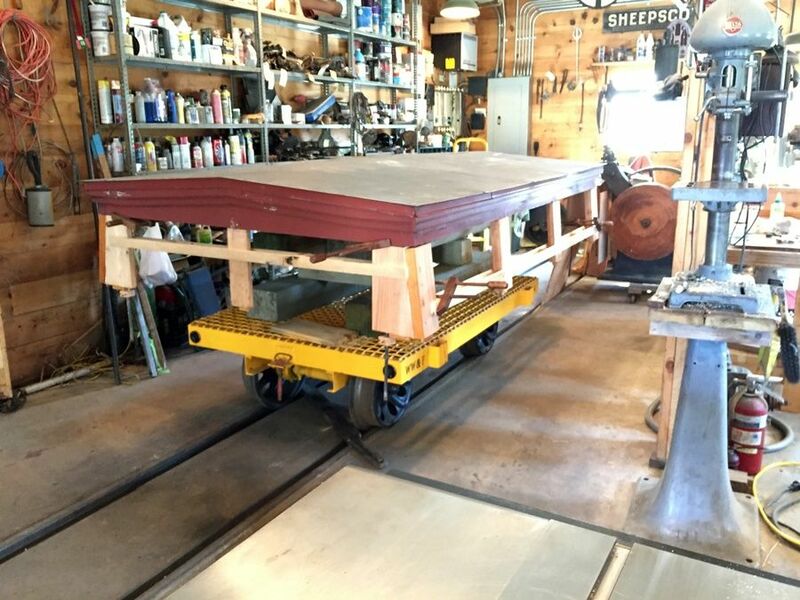 * Caboose 320: The cupola has been moved from outside to a 4-wheeled car and brought into the wood shop, where Marcel is fitting up the vertical pieces. One vertical left, the problem is the hole which was drilled at a bad angle. * Flanger 40: People were salivating over the project this morning. Dan removed the protective (from vandal-thrown rocks) mesh screens from the windows. 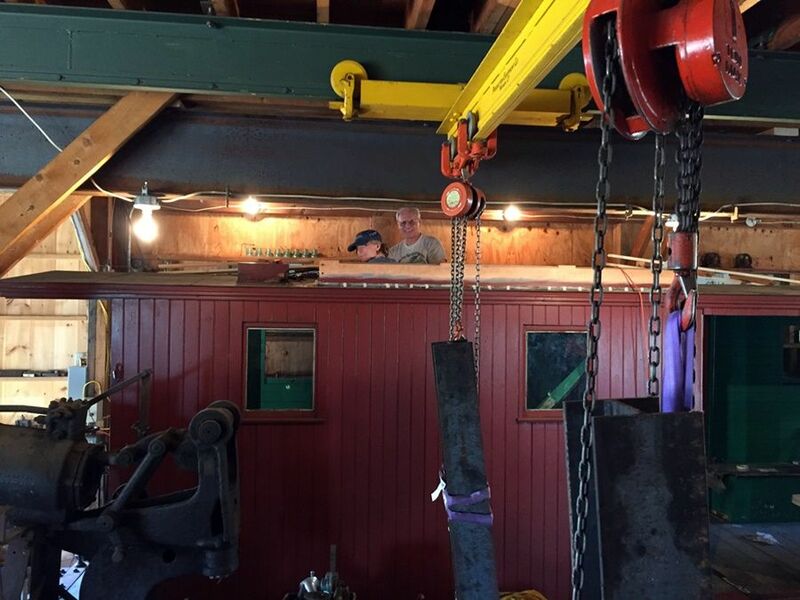 Marcel and Jake working on the caboose. 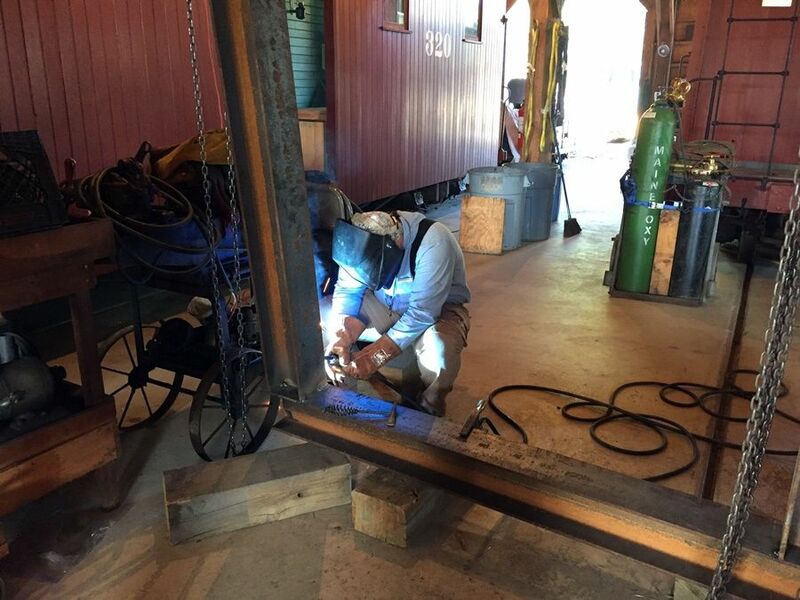 Dan welding the legs for the rail gantry together. Bob working on the turntable's annual wood treatment. Is there going to be anyone there on Monday 9/3 working on anything? Hey Ed, I will be around Monday to either do bridge work or much needed track work in the yard. Weather depending, I may even do some ballast work as well. There will be things going on Monday.